Sometimes known as ‘Moonland’, Ladakh is bounded by mountains and comprised of mountains. Human habitation is sparse, and during the wild winter months, the region is only marginally easier to reach than the moon itself. The imposing, inhospitable Nubra Valley is its wild lunar heart. Snuggled between the Karakoram Range and nourished by two rivers, Nubra is a lush green valley brimming with Sea buckthorns and Alfalfa.During summers, the whole place is carpeted with Pink and yellow roses and in autumns by oodles of wild lavenders which a sight beyond simple natural beauty. 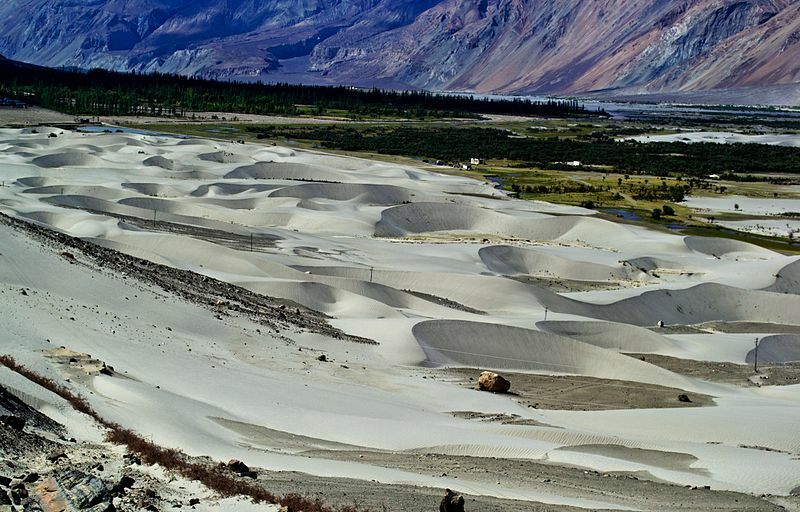 Nubra Valley should ideally be visited in the summer months of June to September.